Two new escape rooms, miles of new trails, and other adventurous doings are afoot in and around Avalon. An escape room, miles of new trails, and other adventurous doings are afoot in and around Avalon. TWO ESCAPE ROOMS... to escape from, thrillingly; Catalina Room Escape is rocking the Catalina Pirate Challenge while The Spirit Room is currently haunting Escape Room Catalina. If you long for an outdoorsy connection with the island, and you're a Descanso Canyon devotee, check out "the new ropes-and-planks course through a grove of towering eucalyptus trees" at Catalina Aerial Adventure. There are miles of new trails to hike on the island, thanks to the good work of the Catalina Conservancy, but if relaxing is your game, best take in Two Harbors, and the brand-new palapas and lounge chairs that have popped up on the remote and gorgeous beach at the smaller of the island's towns. How to get there? 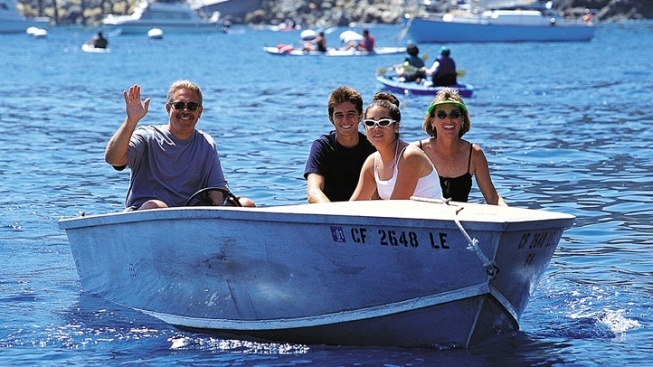 Catalina Express has your sail-across-the-waves tips.